As we pursue ways to address environmental justice issues for our clients, brownfields are one area of specific focus. Brownfields are properties that have been previously developed and have some remaining legacy of pollution. For instance, soil, groundwater and surface water contamination may be an issue as well as general blight. Unfortunately for our clients, brownfields tend to be clustered in impoverished neighborhoods. They exacerbate disinvestment and create unsafe situations for residents. At the EPA Brownfields 2018 Conference in Pittsburgh, Legal Aid of the Bluegrass staff learned about compromised public health outcomes due to brownfields and the renewed focus across the country on redeveloping brownfields to cure environmental justice wrongs, bring jobs to communities, and improve population health. Legal Aid is determined to be part of that solution. One of our greatest challenges is identifying potential clients. For many of our clients, contaminated sites are simply a part of life. Local governments often do not know how to address contamination or they choose to ignore it until it affects wealthy residents. Let our staff attorneys know if there is a site you suspect may be a brownfield in your community. Help us connect with neighborhood groups who seek a better future for their communities. Let people know that we are equipped and ready to help. For our part, internally, we will be meeting in January with the Commonwealth of Kentucky Brownfields office to explore various ways that we can further their efforts. We are also working with Lone Star Legal Aid, which has already developed a significant environmental justice litigation practice, to understand how they built their environmental service area to replicate their efforts for our region. Both of those meetings arise out of contacts made at EPA Brownfields 2018 and will prove invaluable as we continue to build this practice area. 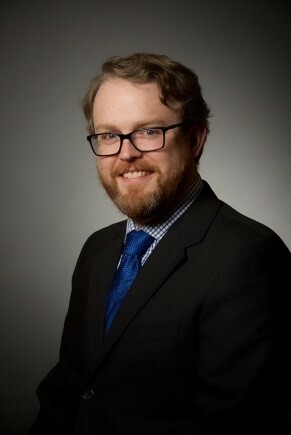 Ross Lovely is an attorney at Legal Aid of the Bluegrass, Lexington, Kentucky.